Shrimp Health Management brochures provide better management practices in a reader friendly format. These brochures were prepared as extension materials through the village based demonstration programme by the Marine Products Export Development Authority of India and NACA. The programme continues building success and involved a total of 29 villages and 29 Aquaclubs in five Indian states (Andhra Pradesh, Tamilnadu, Orissa, Gujarat, and Karnataka) in 2006. Viet Nam's mangrove forests have been severely impacted by human interventions, with a reduction in forestation from 408,000 ha in 1943 to a low of 150,000 ha in 2000. 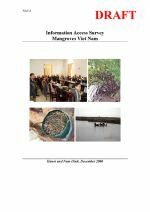 This study provides an overview of the information needs and communication issues surrounding people living in mangrove regions of Viet Nam. 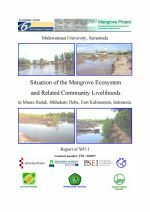 It is hoped that this study will help to raise the awareness of issues surrounding mangrove environments and improve the accessibility to information, for all stakeholders. 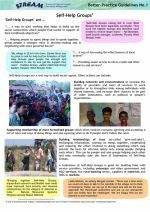 The practical application of livelihoods approaches is still relatively new in development work and guidance is much sought by field teams. The concept aims to build a comprehensive picture of how people within communities live, rather than approaching development planning from a sectoral perspective such as agriculture, forestry or fisheries, to assist in planning interventions that will benefit present and future generations. 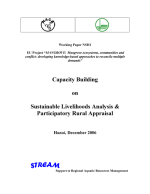 This document discusses the concepts of livelihoods and sustainable livelihoods analyses with these objectives in mind. This paper provides an overview of seafood consumption production in southeast Asia circa 2006. 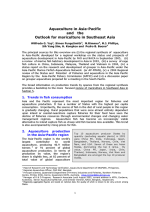 It forecasts a need for aquaculture to expand area under culture and intensity; highlights the potential for fishmeal to constrain growth, and identifies a trend towards cultivation of high-value species. 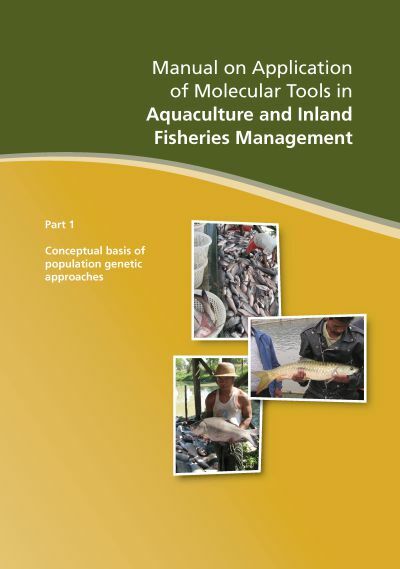 Sources for the review included a regional synthesis of aquaculture developed for a regional workshop in 2005, a review of marine finfish hatchery development and a regional survey of cage fish culture. 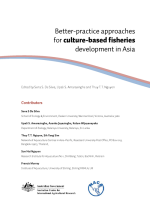 This manual provides guidelines for attaining better practices in culture-based fisheries, an emerging practice in rural areas in the Asian region. It deals with the principles of culture-based fishery practices, primarily based on relatively long-term experiences in Sri Lanka and Vietnam. It deals with the gross factors that are applicable to improving fish yields and therefore revenue; and sustaining culture based fisheries as a development activity in the long-term. Better-practice guidelines: What are better practice guidelines? 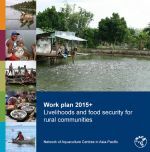 Our better-practice guidelines are an attempt to share lessons that are learnt from local practice or from research, with many more people within Asia-Pacific and to enable people, institutions and policy-makers to use new tools and mechanisms which support aquatic resources management in ways that benefit the livelihoods of people who are poor. This publication is also available in Bahasa Indonesia, Bengali, Hindi, Ilonggo, Khmer, Myanmar, Nepali, Oriya, Sinhala, Urdu and Vietnamese. Self-help groups are a way to start working that helps to build up the social connections which people find useful in support of their livelihoods objectives, helping people to agree on things and to speak together, giving people a stronger voice in decision-making and in negotiating with more powerful forces. This publication is also available in Bahasa Indonesia, Bengali, Hindi, Ilonggo, Khmer, Myanmar, Nepali, Oriya, Sinhala, Urdu and Vietnamese. 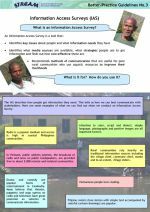 An information access survey is a tool that identifies key issues about people and what information needs they have, what media sources are available, what strategies people use to get information and how cost effective they are. It also provides guidance on methods of communication that are useful for poor rural communities that use aquatic resources to improve their livelihoods. This document is also available in Bahasa Indonesia, Bengali, Hindi, Ilonggo, Khmer, Myanmar, Nepal, Oriya, Sinhala, Urdu and Vietnamese. The stories that fishers and farmers tell us about their lives can give us a deeper understanding of the realities of their experiences. 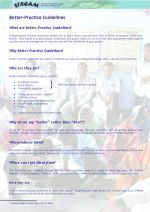 They can help policy-makers to build an understanding of the aspirations and complex livelihood strategies of poor people and disadvantaged or marginalised groups. A consensus-building process is a way of providing a space where people can tell their stories, so that policies can be improved to better support poor people's needs.